The People We Love To Hate: Brooke Shields thinks Tom Cruise should give birth. Brooke Shields thinks Tom Cruise should give birth. Brooke Shields is letting people know that Tom Cruise is crazy. 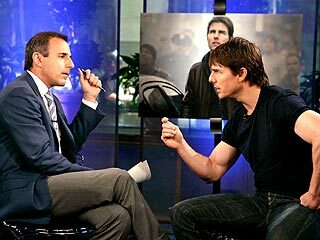 Matt Lauer, its your turn to speak out on your Tom Cruise anguish. Do you know the history of psychiatry?